Bo Xu is a Fashion Designer skilled in textile, handcraft and menswear design. 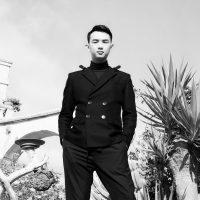 After completing his BA in Art Design (Fashion Design) at China Academy of Art, he has pursued a degree in MA Fashion Design and Technology (Menswear) at London College of Fashion. His master's collection was featured in LCFMA18 press show, London Fashion Week Men’s January 2018.